Mark Hood is an Associate Professor of Music in the Recording Arts Department at the Indiana University Jacobs School of Music. He served on the IU Media Preservation Task Force whose efforts lead to the establishment and funding of the IU Media Digitization and Preservation Initiative (MDPI). 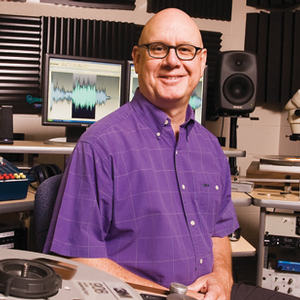 He is also the current co-chair of the Technical Committee of ARSC, the Association for Recorded Sound Archives. Hood has been an active recording engineer and producer since 1972 and is co-owner and managing partner of Echo Park Studios in Bloomington, IN.